My Touchpad | Tips, Tricks, and More. All HP Touchpad and WebOS. How do I dismiss notifications? Swipe downwards on the notifications area. Then swipe right on the notification you want to get rid of. How do I delete a whole word while typing? On the keyboard tap and hold SHIFT then tap BACKSPACE while still holding SHIFT. How do I reset a locked up TouchPad? Press and hold the center button and power button at the same time for up to 10 seconds. The TouchPad should reboot. Thanks to speedtouch for the post. The HP TouchPad has a beautiful screen. The default wallpaper doesn’t look bad but everyone wants likes changing wallpaper just to make the device more personalized. The Touchpad does come with a few different images that you can use as the wallpaper. Here are the steps for changing the wallpaper for the HP Touch pad using one of the preinstalled wallpapers. Select an image that you’d like to see as your desktop. Then touch the icon in the lower right hand corner, it looks like three horizontal lines. If the icon/dock at the bottom of the image is not there, simply touch the image and it will reappear. If you are looking for more wallpapers for your HP TouchPad try InterfaceLift HD available in the webOS App Catalog here. Finding good wallpaper for your HP TouchPad can be a chore with regular Google searches. But here are a few tips you can use to make it easier. First, you want to keep in mind what size the wallpaper should be. The HP TouchPad wallpaper size is 1024 x 1024, it’s not as hard as you’d think to find wallpaper this size because thankfully it is the same size as iPad wallpaper. 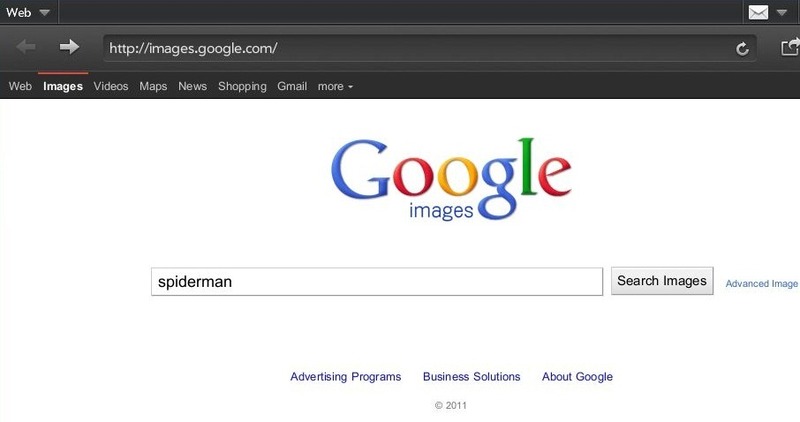 Lets use Google images to find some wallpaper. Type something you’d like to have as your background. 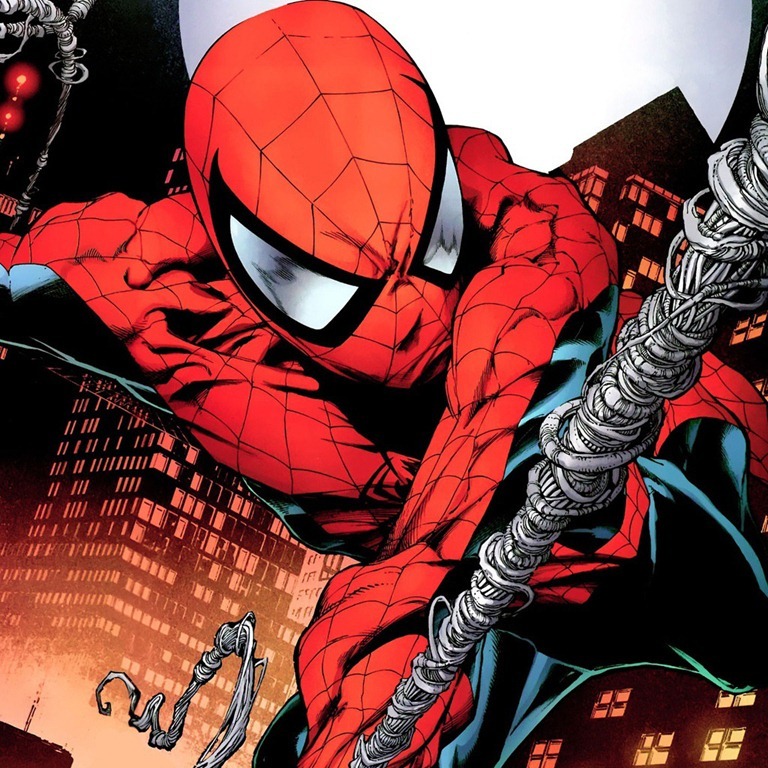 For instance beaches, favorite city, or in my case Spiderman. Then hit Search or Enter. On the results page, look at the left hand side. You’ll see a column with a list that starts with “Any Size” and continues with Large, Medium, Icon, Larger than…, and Exactly…. That last option “Exactly…” is what you will want to click. Type in 1024 into each box and hit Search. 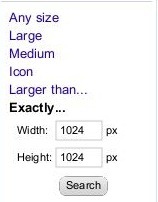 Now all the images on the search results will be the right size for your HP Touchpad. 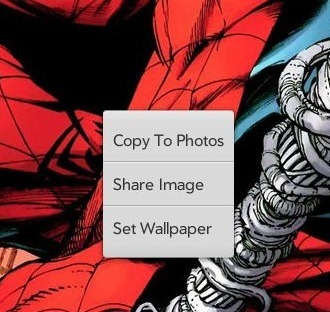 Using this search I found this awesome Spiderman wallpaper. If you use “Copy to Photos” you can go back into your Photos & Videos app and set the wallpaper from there. You can use the instructions from my previous post here. Otherwise click “Set Wallpaper” and you’re all done. Still looking for more wallpapers? Check out http://hptouchpad.deviantart.com/ or InterfaceLIFT HD (webOS app). You can also use any popular iPad wallpaper site.